This beautiful cottage made of stone, wood and slate offers a breathtaking view of the valley of Les Menuires. The sun terrace will make you spend a pleasant time for a comforting break. For a quick meal or a delicious snack, you will find something to snack immediately, watching a video or a sports broadcast. Inside, several rooms are available, one with a beautiful central fireplace. Whether for lunch, a pause between two tracks or for dinner, the FARM REBERTY is a place to give free rein to his greed. 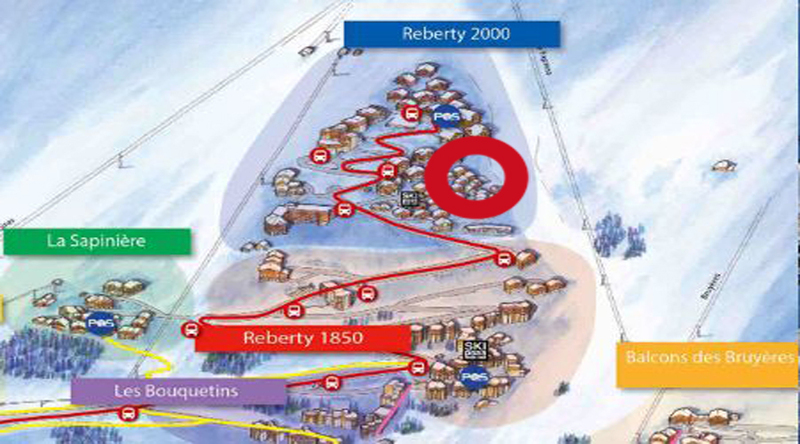 The restaurant is accessible by road (Reberty 2000) and by the track. An ideal meeting point for skiers and non skiers. A renowned terrace of Les Menuires. At the edge of the track, you'll find a lovely cottage and ideally positioned terrace, bathed in sunshine. It's time for a gourmet break off your shoes and find a card that offers a varied cuisine and quality. - Restaurant located by the pistes. - Access: ski-in or by road. - Large south-facing terrace with spectacular views over the valley.